Certified registered nurse practitioners (alternately referred to as an NP or CRNP) are popular among healthcare providers and insurance companies alike. This is because they are primarily used as “doctor extenders.” A CRNP can examine, diagnose, and treat most problems a patient may be presented with. To become a nurse practitioner, you need to be a RN with a bachelor’s degree in nursing. This allows you to take the masters track of nursing and enter into this quickly emerging profession. In addition to becoming a CRNP, master’s-prepared nurses can become certified nurse midwives, certified registered nurse anesthetists, and clinical nurse specialists. However, the most popular track is the CRNP because it allows nurses to practice at a doctor’s level. So, what does it take to become a CRNP? To get through the master’s preparation and the boards required for this profession, you need to have a strong academic background and a great deal of experience caring for patients. Although it is true that you can become a certified registered nurse practitioner without working as a nurse, it is generally not recommended because so much of medicine comes from experience. You should be able to assess a patient well and know the medications, treatments, and procedures available to you. Finally, you have to understand how to work in conjunction with a doctor because he or she will be your direct supervisor. You may wonder what the difference is between a doctor and a certified registered nurse practitioner’s job description. It largely depends on the state you are in, but some common restrictions apply. In some states, a CRNP must be affiliated with a doctor, but other states allow nurse practitioners to practice independently. Nurse practitioners in some states can prescribe controlled substances, and some states only allow doctors to prescribe these medications. They can perform some simple surgeries, such as mole and skin tag removal, debridement of a wound, or other low risk surgery. Only a doctor can perform complex surgeries, such as open heart or abdominal surgery. These are just bare guidelines, as most states have wildly different rules for CRNPs. A CRNP, in general, can perform most of the tasks that most medical doctors perform. They can examine patients for health problems, diagnose conditions, prescribe diagnostic tests, prescribe procedures and medications, and evaluate patients for improvement. They also usually work in conjunction with a doctor. This is a relationship akin to a resident-attending relationship or a resource person/second opinion relationship. In some states, there is not much difference between the two, except pay and the waiting list to see them. Nurse practitioners make significantly more than standard registered nurses, but they do not approach the pay of doctors themselves. According to Indeed.com, nurse practitioners make on average $96,000 per year. However, this number should be taken as just a guideline. Often, the education that the CRNP has, and the experience in their background, is as much a salary determinant as anything else. Nurse practitioners who have a great deal of experience as floor nurses, particularly those who worked in the ICU, will likely find that they are offered more money than less-experienced nurses. Choice of specialization can also affect your pay. For instance, family nurse practitioners may be in more demand in your area than hospital nurse practitioners. The region of the country you live in often influences pay, as well. Some states do not have a high cost of living, so the pay scale is less. However, some states do not have enough CRNPs to care for all the patients, so they are offered more money. When looking at a nurse practitioner salary, you have to keep all of these variables in mind. Nurse practitioners can work in a wide variety of healthcare environments. The most common place to find them is in a doctor’s office, where they are able to see patients and practice advanced nursing for family and other specialty patients. CRNPs do not exclusively work in doctor’s offices, however. They often work in hospitals under the supervision of a doctor in a wide range of specialty areas, such as critical care, cardiology, or orthopedics. In some states, they even work independently and run their own practice, but this is not common. Health insurance companies and fast-track medical centers are other areas where a nurse practitioner may find employment. The need for CRNPs is expect to rise in the coming years. Since they get paid less, the patient and health insurance companies also pay less for using their services. In addition, not enough doctors are available to go around, and this means that nurse practitioners can step in and see patients quicker than it would take to see a medical doctor. 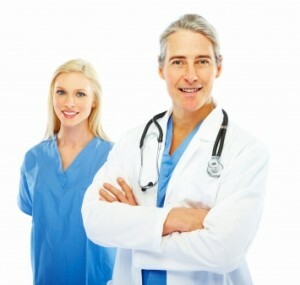 Since they can provide all of the services of a doctor, most patients can easily be seen by these professionals. As healthcare changes, CRNPs are in position to become an even more important factor in the care of patients. Before you can be accepted into a nurse practitioner program, you’ll first have to meet a few prerequisites. First, you need to have at least a bachelor’s in nursing. Some programs are available that can take you from RN to MSN, but these are just fast-track BSN programs with the MSN added when the first degree is completed. Some schools require you to have some experience in nursing before obtaining your CRNP, but not all of them do. In addition, different states have rules about who can take the courses and who ultimately can sit for boards at the completion of the education. Many schools are now offering MSN programs online. This is a great way for a working RN to obtain a CRNP, but certain considerations should be addressed. For instance, all nursing training requires clinicals, and the nurse practitioner is no exception. If you take an online NP program from a distance learning center, you will still be responsible for negotiating and attending clinicals in your area. For some, this extra work may be too much, and you would be better served with a program near your home. Even local programs, though, can offer some classes online, and this will help you maintain the flexibility of an online degree with the convenience of local clinicals. Lynda Lampert is a freelance medical writer and registered nurse who spent three years working the floor in med-surg. She makes her living educating the internet public about all sorts of medical conditions and procedures. Welcome To Nursing Classes Online!